Traditional medicine practitioners of ancient times, dating back 3,000 or more years, were really on to something. Their reliance on powerful herbs to successfully treat many of the maladies of their day was nothing short of ingenious, ahead of its time. 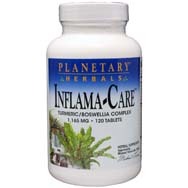 Take boswellia, for instance. This herb, taken from the Boswellia serrata tree as a gummy resin, has been used to treat numerous medical conditions for centuries, and when it comes to weight loss and this century, it’s nothing short of a revelation. America and much of the world has in recent decades become obsessed with every new weight-loss diet, device, gimmick, strategy, plan, fad, and formula. These heavily marketed products hit the marketplace straight out of labs, when in fact one of the most time-tested, weight-loss compounds has been right under our noses for thousands of years – in the natural herb form of boswellia. Let’s get one thing out of the way first: there is no safe, surefire product or plan that can promise weight loss. 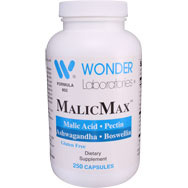 Before turning to boswellia as the core of your next weight-loss program, be sure to consult with your physician or other qualified health professional first before you start loading up on it and expecting something resembling a miracle. Boswellia, which is also known as frankincense, per livestrong.com, contains a high concentration of what are known as “gugglesterones,” which are agents that have been identified as helpful when it comes to losing weight. 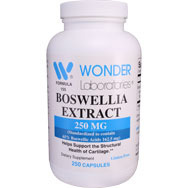 Per naturalwellbeing.com, boswellia can bolster thyroid function at the same time its gugglesterones can supposedly aid in weight loss, although research is not yet comprehensive or conclusive in that regard. 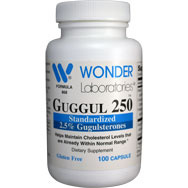 These gugglesterones, in supplement form, have also been singled out for their capacity to support healthy cholesterol levels, to alleviate the symptoms of arthritis, and remove toxins from the body, per ayurtimes.com. The thyroid gland is what regulates our body’s metabolism, which in turn controls how efficiently our body burns calories, which is a key part in losing weight when we need to be losing weight, such as when we are overweight or even obese. A well-functioning thyroid gland, per ayurtimes.com, means a metabolism that is operating properly. If the metabolism is slowed down for any reason, such as the thyroid gland being hindered, a decrease in the burn rate of calories occurs and more of the food we ingested is converted into fat in the body. Gugglesterones can aid in thyroid function and therefore help boost weight loss, but boswellia works best in tandem with plenty of (physician-monitored) exercise as well as a healthy dose of fruits and vegetables as part of your regular diet. Thanks to gugglesterones, weight loss becomes faster and easier, with your body driven by an optimized thyroid gland bolstering your metabolism and allowing your body to naturally burn more calories a day. Per nutriline.org, a six-week study featured in the publication Current Therapeutic Research, test subjects using a gugglesterone-based supplement, combined with diet and exercise, lost 9.5 pounds of fat compared to the 3.1 pounds lost by a second test group that only did the diet and exercise without the gugglesterone supplement.